This tag featuring memory capacity sufficient to store large volumes of aircraft part and maintenance history data, while supporting a number of different radio frequencies to enable traceability worldwide, according to a news release. Fujitsu also said it anticipates that this 64KB UHF-RFID tag will transform global aircraft maintenance operations. Tokyo, Japan, Jan 09, 2008 (JCN Newswire via COMTEX) – Fujitsu Limited today announced the development of the world’s first 64 kilobyte (KB: 66.40, -1.89, -2.76%) ultra-high frequency (UHF)-band radio frequency identification (RFID) tag with high-capacity FRAM, featuring memory capacity sufficient to store large volumes of aircraft part and maintenance history data, while supporting a number of different radio frequencies to enable traceability worldwide. Fujitsu anticipates that this 64KB UHF-RFID tag will transform global aircraft maintenance operations. Equipped with 64KB FRAM memory, the world’s highest capacity to date, Fujitsu’s new RFID tag will enable highly efficient global aircraft maintenance operations by ensuring precise and rapid management of each aircraft part. The tag complies with the EPCglobal Class 1 Generation 2 standard supporting a variety of radio frequencies, which vary by region, and thus provides for global traceability. Fujitsu’s new UHF-RFID tags will deliver high-speed data writing capability and high durability, while also offering state-of-the-art security functions, such as password management for each part of the memory area. In recent years, the aviation industry has striven to raise the quality and efficiency of aircraft maintenance by improving traceability of parts. In line with this trend, a need has arisen for high-capacity RFID tags which can store not only part identification codes but also product and part maintenance history data. To satisfy these needs, Fujitsu developed a 64 KB high-capacity RFID tag memory for the aviation industry. Fujitsu’s new RFID tag will increase the quality and the efficiency of aircraft maintenance operations by enabling the traceability of various products and maintenance information for parts exchanged between companies and across nations around the world. Overall, customers will realize improved supply chain management through shorter cycle times and lower costs. Sales of the RFID tag are scheduled to begin in the first quarter of fiscal year 2008 (April – June 2008). Featuring 64KB high-capacity FRAM, Fujitsu’s RFID tags deliver high-speed data writing capability and high durability. The tags also offer state-of-the-art security functions, such as password management for each part of the memory area. The new RFID tag can be implemented globally as a result of compliance with the – EPCglobal Class 1 Generation 2 standard, supporting a variety of frequencies used in different countries. Furthermore, the tag can be mounted on metal surfaces and meets fire retardancy standards by satisfying the testing requirements for SAE AS5678 specifications, which are required to be met for high-quality aviation parts. 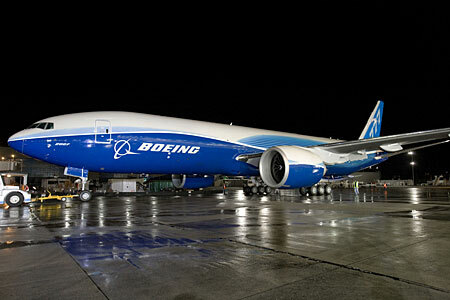 The high memory and overall capability of Fujitsu’s 64KB RFID tag will enable numerous automated data exchange and data management processes by providing a robust, point-of-use information source, resulting in significant cycle-time and cost reduction opportunities for airline maintenance operations and supply chain management. A transmission standard instituted by EPCglobal, for data transmission between readers/writers and UHF-RFID tags. This is a second-generation standard specification that improves performance of the EPC Class 1 specification. An international standard for UHF-RFID tags, defined by ISO and based on EPCglobal’s “EPCglobal Class 1 Generation 2” standard. Refers to the memory area of the RFID tag in which the user can freely read/write, which some low-cost RFID tags do not feature. The user memory size of conventional RFID tags is usually a few hundred bits. *Fujitsu plans to develop smaller and lighter RFID tags. FRAM: Ferroelectric Random Access Memory (also referred to as FeRAM). Memory that uses ferroelectric film as a capacitor for storing data. Featuring advantages of both ROM and RAM devices, FRAM features high-speed access, low power consumption, and high endurance for numerous rewrites. EPCglobal: EPCglobal is a non-profit organization established by GS1 (formerly known as EAN International), which promotes the international standardization of barcodes, and GS1 US(TM: 103.04, -1.43, -1.36%) (formerly the Uniform Code Council, Inc.). Fujitsu Limited (TSE: 6702; ADR: FJTSY) is a leading provider of customer-focused IT and communications solutions for the global marketplace. Pace-setting device technologies, highly reliable computing and communications products, and a worldwide corps of systems and services experts uniquely position Fujitsu to deliver comprehensive solutions that open up infinite possibilities for its customers’ success. Headquartered in Tokyo, Fujitsu reported consolidated revenues of 5.1 trillion yen (US$43.2 billion) for the fiscal year ended March 31, 2007. For more information, please visit www.fujitsu.com .